My siblings are my best friends for life. We may oftentimes have disagreements and quarrel over them, but we will always be there for each other no matter what. Since my siblings #2 & #3 have their own families and kids, they've been trying out kid-friendly recipes just to satisfy their little rascals' big appetites. Most of the time, I find it difficult to think as to what to cook for the next meal, and that is, I'm only cooking for myself and my husband. How much more if I am cooking for kids who are picky-eaters and only know adobo and tinola? My sibling #3 I guess have figured it out so she's been whipping up desserts and kiddy-meals. Like this one - leche flan which has become an instant hit with her kids. 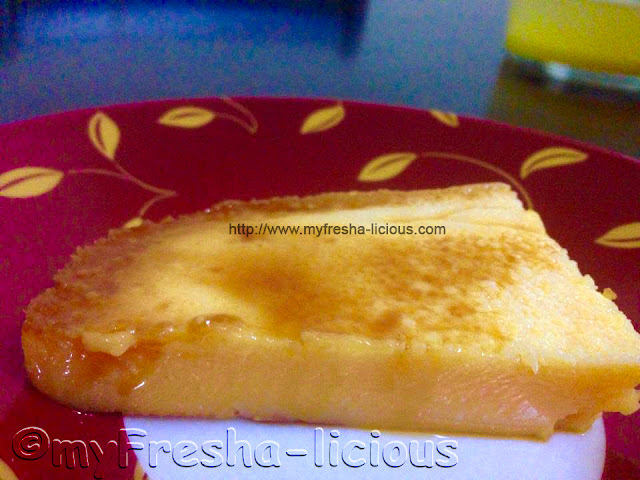 When I asked my nephews how they rate their mama's leche flan they both said "delicious" and "nice" with big smiles on their faces. 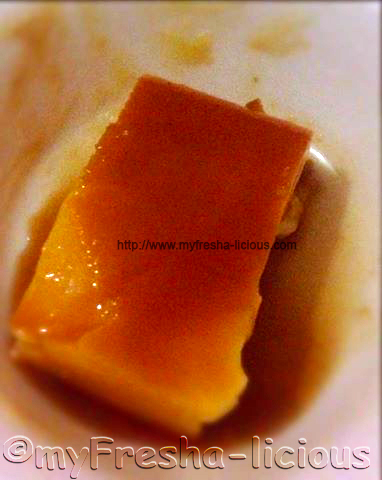 My sibling # 3's leche flan, according to my sibling #4 is smooth, not so sweet, and delicious. I think that's the reason why she always forgets to take a good picture of the leche flan every time my sibling #3 cooks one. 5. When the caramelized sugar are cooled down, pour the egg-milk mixture in it. 6. Cover the container with foil then steam for 20 minutes.